The Northeast Ohio District Conference of Grace Brethren Churches gathered at the Grace Brethren Church, Wooster, Ohio, last night (April 3) to hear reports and honor individuals who have been active in district events. Andy and Kim Shank for work with Mansfield church plant (nominated by Nathan Wells, church planter). 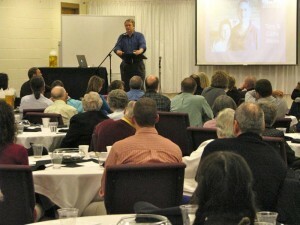 For more information and to view photos of the event, see the NEO District Conference web site.